The National Gallery of Slovenia, founded in 1918, is the main art museum in Slovenia containing the largest visual arts collection from the late medieval period to the early 20th century. It resides in a building from 1896, to which an annex was added in the 1990s. In between the two, a spacious and modern new entrance hall was built in 2001. This airy structure with a glass facade, facing the Tivoli Park, now represents one of the classier function spaces in the city centre, covering a surface area of 1,675 m2. 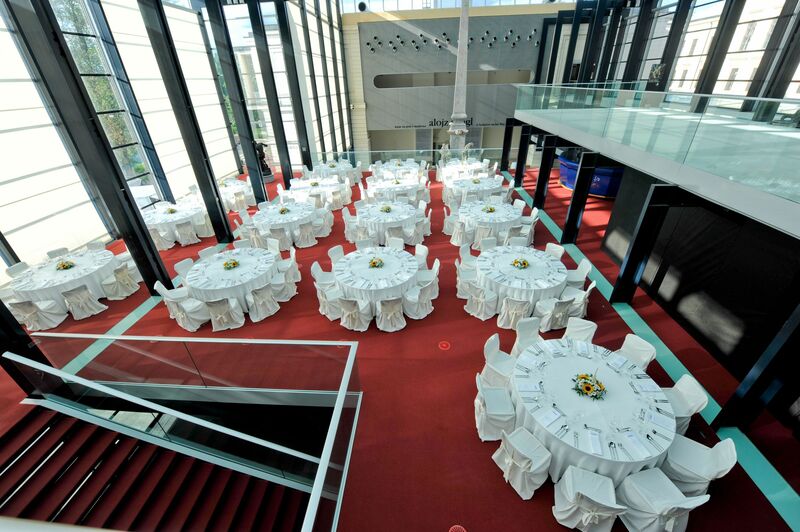 Three levels can welcome up to 1,000 guests at a standing reception. New entrance Hall holding up to 1000 guests, and a Large Hall – a ceremonial function space being most suitable for protocol receptions, award presentations and concerts with up to 220 guests.